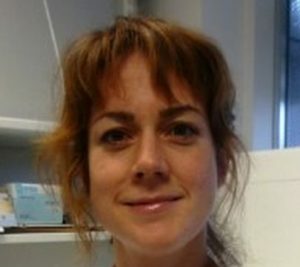 Clare Turnbull is the clinical lead for Cancer Genomics for the Genomics England 100,000 Genomes Project. She also leads a research team at the Institute of Cancer Research and is a Professor of Medical Genomics at Queen Mary University of London. Her main research focus has been the genetic basis of testicular cancer and she has published extensively on genetic susceptibility to breast, ovarian and childhood cancers. Her research themes span statistical, population and public-health-related analyses of genetic cancer susceptibility and implementation of expanded genomic testing. She is works for Public Health England as an honorary consultant in Public Health, advising on incorporation of genomic data into the National Cancer Registration datasets. Having trained as a clinical geneticist, her clinical work at Guys and St Thomas NHS Foundation Trust focuses on management of patients and families with genetic susceptibility to cancer. Clare undertook her preclinical training in Cambridge and qualified in medicine from Oxford University. She undertook general medical training across hospitals in Oxford and London and specialist training in clinical genetics in London. She completed a PhD in Genetic Epidemiology and Molecular Genetics at the Institute of Cancer Research, London and a Masters degree in Epidemiology and Statistics at the London School of Hygiene. She is a member by distinction of the Faculty of Public Health Medicine.